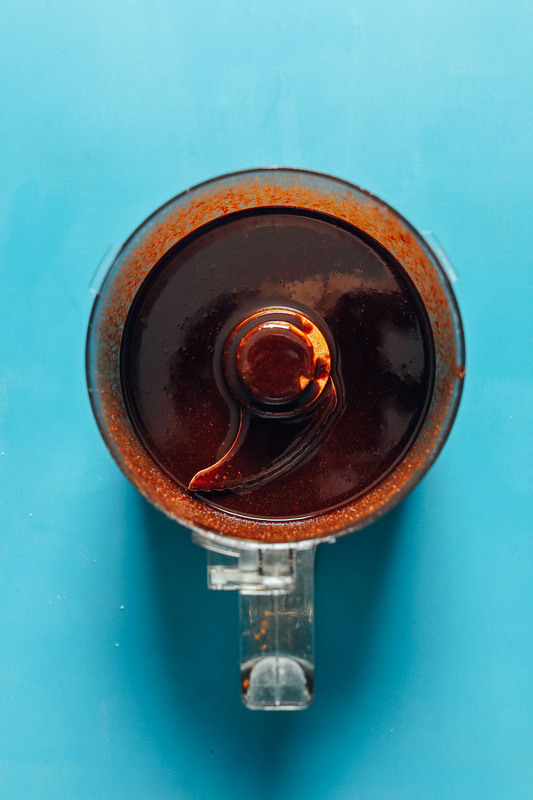 Recently, I came upon a new-to-me ingredient: carob powder! Have you tried it? It’s like cacao powder, but not. And while it tastes like chocolate, it also has hints of coffee and is naturally sweet (unlike cacao). 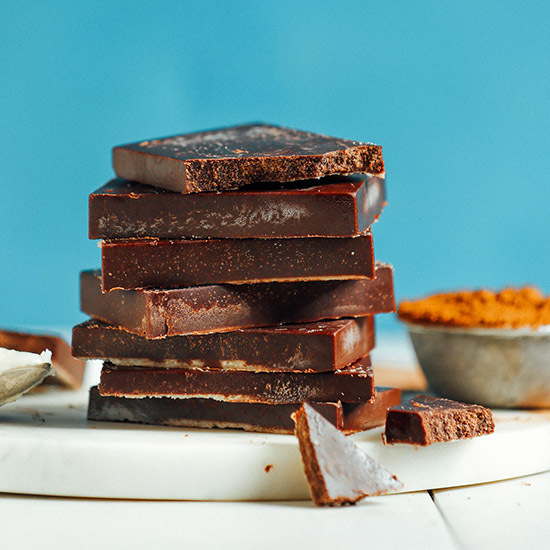 Once I mixed it with some coconut butter and took one bite (hello, delicious), I knew a coconut carob bar had to happen. Plus, they fit in nicely with the sugar-free theme going on this month. Let’s do this! This 7-ingredient recipe is easy to make. It all comes together in a food processor. The base is coconut butter, which is easy to make at home. It provides a creamy, coconutty, naturally sweet base for these insanely rich bars. Next comes coconut oil, sea salt, vanilla, and maca powder, though that’s optional. Maca not only adds a honeycomb, caramel-like flavor but also provides health benefits like balancing your hormones and supporting thyroid function. And it boasts minerals like zinc, phosphorous, iron, calcium, and potassium. 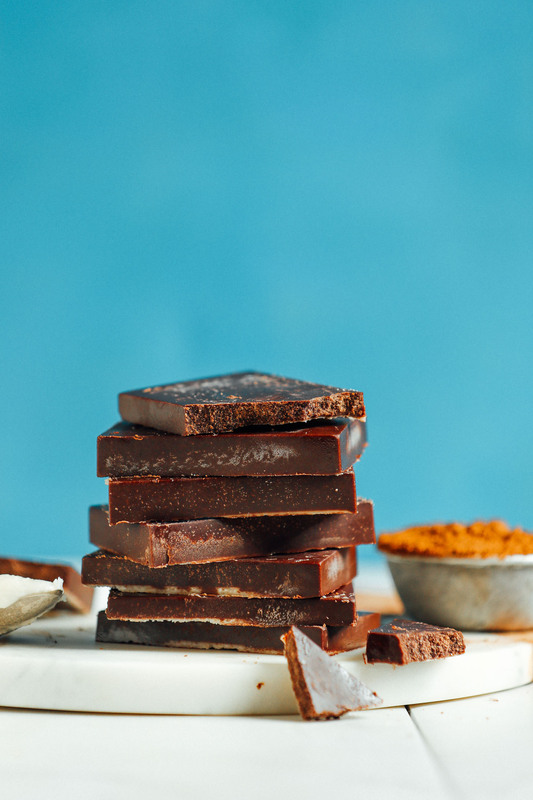 The star of the show, though, is carob powder, which supports healthy digestion and has calcium, magnesium, potassium, iron, copper, and zinc. It’s also a healthy alternative to chocolate for those who can’t enjoy it. Once the mixture is blended, simply pour into molds of choice and chill. It’s that easy! These would make the perfect snack or treat to have on hand throughout the week. It’s like a chocolate bar but somehow sweet without adding any sweetener, which has made it my new favorite dessert! Be sure to check out our other sugar-free recipes this month: Curried Quinoa Salad, Easy Muhammara Dip, Rich Red Curry with Roasted Vegetables, 1-Pot Everyday Lentil Soup, 5-Ingredient Buckwheat Crepes, Actually Crispy Baked Chickpeas, Sunflower-Coated Cheesy Kale Chips, Moroccan Lentil-Stuffed Eggplant, and Loaded Kale Salad. Easy-to-make, 6-ingredient coconut carob bars made without sugar or sweetener! A nutrient-rich, high-fat low-sugar treat with rich chocolate flavor. 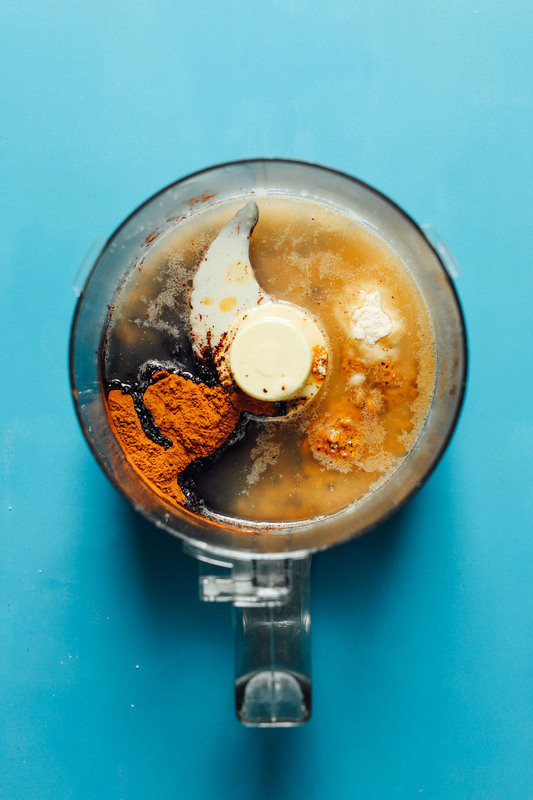 Add all ingredients to a food processor and blend to combine until completely smooth, scraping down sides as needed. 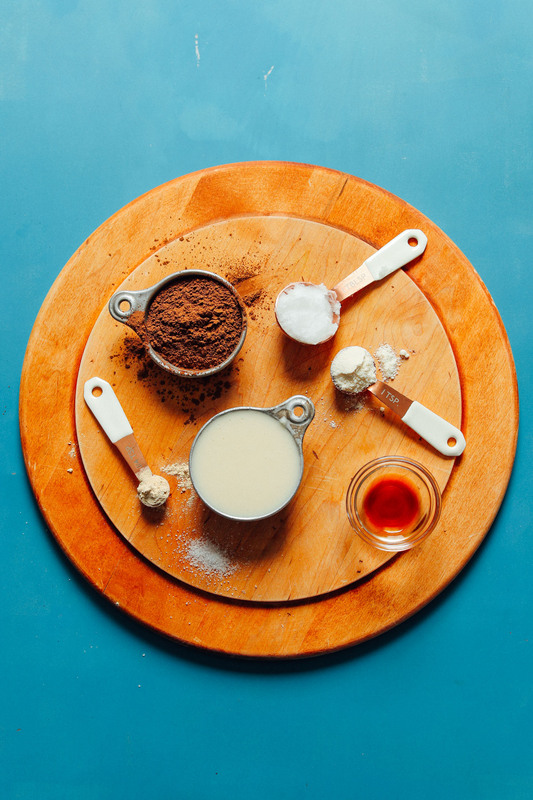 Taste and adjust flavor as needed, adding more carob powder for “chocolate” flavor or sweetness, maca powder for caramel flavor, salt for saltiness, vanilla for vanilla flavor, or coconut butter for creaminess. If it appears too liquidy, add the remaining 1 Tbsp (9 g) coconut flour. You’re looking for a pourable liquid, but not too watery. Pour into cupcake liner molds, a lined loaf pan, or silicone chocolate molds like these or these, and let cool until firm. Depending on the temperature of your home, they may solidify at room temperature. If not, carefully transfer to the refrigerator until firm. Then remove from molds and enjoy. Because coconut butter chilled has some texture, don’t be worried if the tops of your bars have a bit of ridging to them – that’s totally normal! Store in a sealed container in the refrigerator up to 2 weeks or in the freezer for 1 month or longer. Let thaw slightly before enjoying for best texture. *Nutrition information is a rough estimate for 1 of 12 servings (half of 1 bar of 6 total).